Morris County, New Jersey, awards grants for the maintenance of historically significant structures. Several churches dating back to the colonial period have received public support through that program since 2012. The case at issue Monday arose in April 2016, when the Freedom From Religion Foundation (FFRF) and a local taxpayer brought a lawsuit claiming the Morris County program violates New Jersey’s constitution. The state constitution provides that no person shall be “obliged to pay tithes, taxes, or other rates for building or repairing any church or churches.” The New Jersey Supreme Court unanimously sided with the FFRF. Morris County said its case is broadly similar to a Missouri dispute the Supreme Court resolved in 2017. In that case, Trinity Lutheran v. Comer, a seven-justice majority said Missouri was wrong to exclude churches from a state program that provided public funds for playground safety. Though the Court decided not to hear Morris County’s appeal, Kavanaugh said that the New Jersey court’s ruling was “in serious tension with this Court’s religious equality precedents,” citing cases in which the justices said public officials could not deny school space to religious groups or disqualify clergy as delegates to constitutional conventions. Still, Kavanaugh said the Court was right to reject the Morris County case due to factual uncertainties about its program. Americans United for Separation of Church and State commended the high court’s decision to deny the appeal, but called Kavanaugh’s opinion troubling. 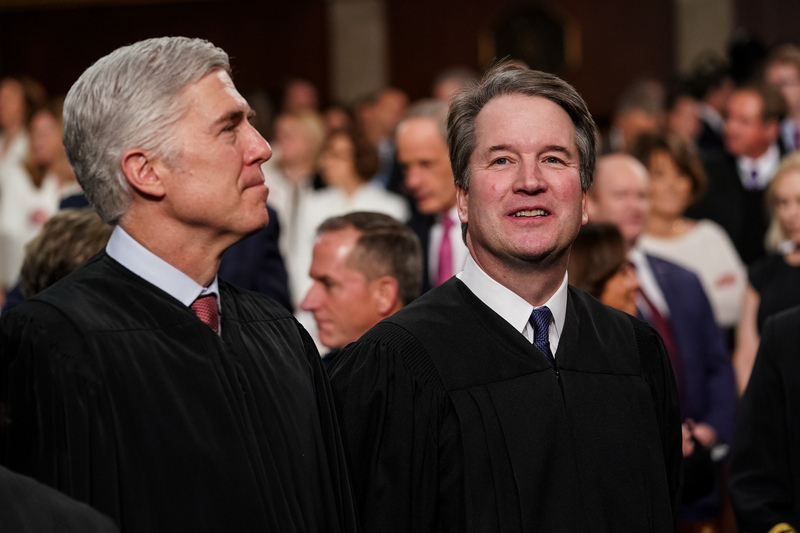 “Justice Kavanaugh appears to be considering requiring taxpayer funding for religious uses, in ways never before permitted by our Constitution or our courts,” said Richard Katskee, legal director for Americans United. “This view suggests a hostility toward our fundamental American value of church-state separation, which has protected religious freedom for all,” Katskee added. The justices are deciding another church-state separation case this term. The Court heard arguments Wednesday in a case that asks whether a 40-foot veterans’ cross on public land violates the Constitution. A decision on that matter is expected by June.